Centuries ago in plague-struck Italy, Julian DiConti cast a powerful spell in desperation to have the magical power to be able to help his people who were dying in horrific conditions. The spell goes spectacularly awry, leaving Julian enslaved to a Djinn bottle, bound to grant three wishes to each Master of the bottle until the spell can be broken. More than anything, Julian longs for a normal life – for a home, and a family. After six hundred years, however, he has begun to despair of ever being freed from the spell. Enter Alessandra Taylor, a young woman who has followed her calling to help others, in the face of vociferous disapproval from her family, particularly her controlling father. Working at a shelter for battered women, she’s thrilled to meet the reclusive Julian DiConti, whose collection of garments from third world countries has provided funding for shelters across the country. When Julian turns out to be a Djinn from the old bottle she found in her attic, she hears his story and empathizes with his despair. Although she’s willing to free him, he can’t tell her how. As time goes by, their initial attraction blossoms into a love that both realize is doomed. 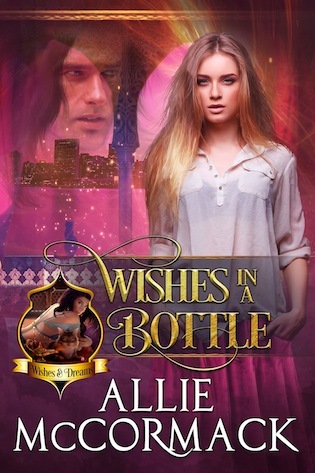 Once she has made her third wish, the magic of the bottle will whisk Julian away and out of her life forever… unless she can somehow figure out how to free him. But one by one, she’s forced to use the precious wishes to help others. 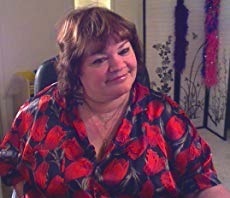 A career medical transcriptionist, Allie McCormack is now writing from home full-time. Allie has traveled quite a bit and lived many places all over the US, and also a year in Cairo, Egypt as an exchange student, and a year in Riyadh, Saudi Arabia under contract to a hospital there, plus a short stint with NATO while she was in the Army.